Developer, Katie Page’s, focus was on meshing high-end luxury with strong environmental credentials. With 3565 achieving a five-star Green Star rating, this project is certainly accomplishing what it was set out to. 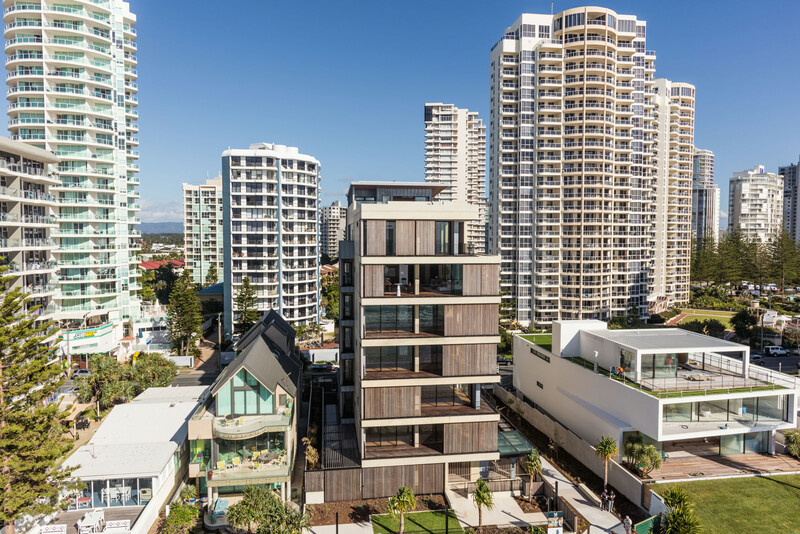 M3565 was designed by Sydney architect Virginia Kerridge, who says the use of contemporary finishes such as tinted concrete, timber shutters and zinc ­ensured the building was different to anything previously seen on the Gold Coast. The result, says Page, is a building that “fits in rather than stands out”. Page reckons that great buildings “improve with age”.